ALAB Pilipinas has found a new sponsor in San Miguel Corporation, marking the company's return to the Asean Basketball League. Team owner Charlie Dy announced the move on his social media account by welcoming their new partners on Thursday as the squad will now be called San Miguel Alab Pilipinas. "Alab Pilipinas welcomes our new partners #SanMiguelPalePilsen #Petron and #Magnolia and will now be called #SanMiguelAlabPilipinas. SMC returns to the ABL scene after the San Miguel Beermen played in the regional professional basketball league in 2012 and 2013, winning the 2013 crown before disbanding. 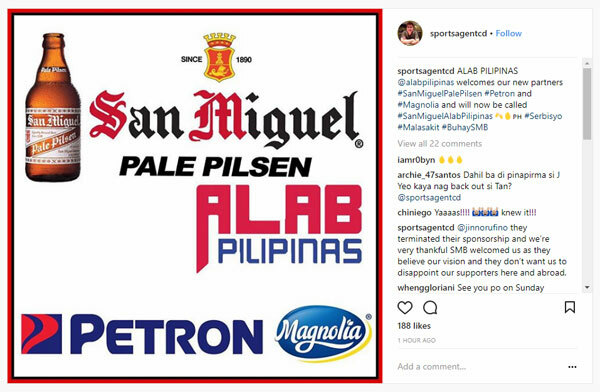 San Miguel’s entry came after reports that Tanduay has pulled out as the team’s major sponsors due to, sources said, differences in handling the team. Sources said the team was informed about San Miguel’s entry to the team after Alab defeated Chong Son Kung Fu in overtime on Wednesday night in Sta. Rosa, Laguna. The team will also have new uniforms that will be used starting on Sunday against the Singapore Slingers. Despite its brief run in the ABL, the Beermen reached the finals both times with a team led by Asi Taulava, Chris Banchero, and head coach Leo Austria winning the 2013 crown against the Indonesia Warriors. Also playing for that Beermen squad in the ABL was a raw June Mar Fajardo, who went on to win four straight PBA MVP awards. 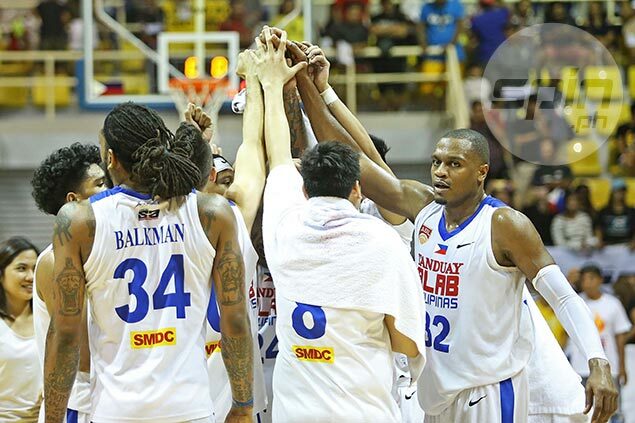 Incidentally, Alab imports Justin Brownlee and Renaldo Balkman are no strangers to playing for SMC, with Brownlee suiting up for back-to-back Governors' Cup champion Ginebra the past two seasons and Balkman reinforcing Petron in 2013.